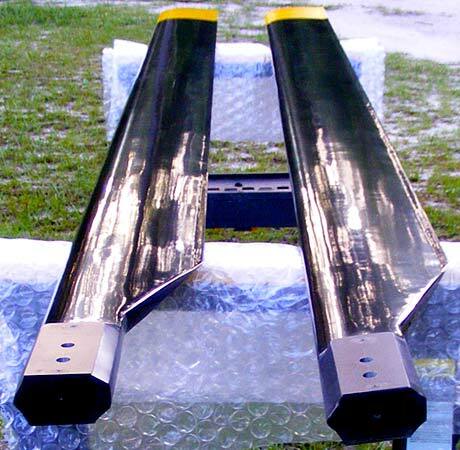 Composite over aluminum main rotorblades for your RotorWay, Commuter or other homebuilt design. 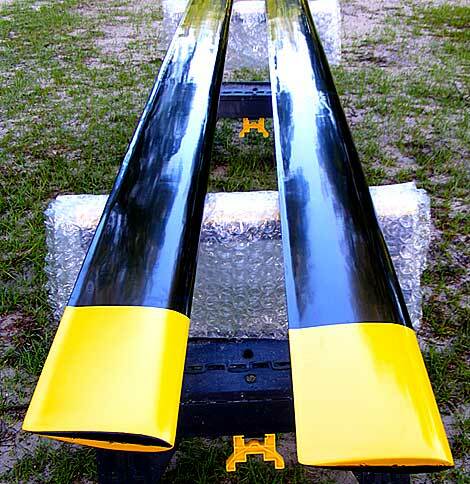 These blades are made with 2 layers of super-strong S2 glass bonded to an inner aluminum structure, then finished with an outer gel coat. 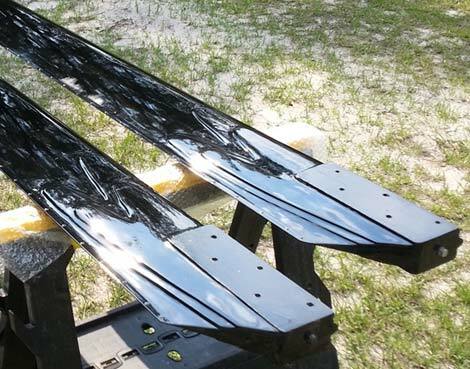 The blades are complete and available ready to mount. Custom mounting is available. 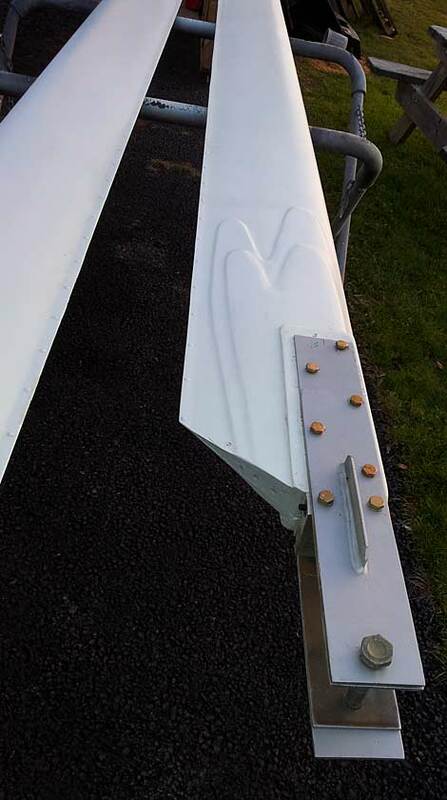 Blades have an 8" chord, are available in any length up to 12' per blade and weigh under 3 lbs./ft. The mounting plates and bearing blocks shown are extra. 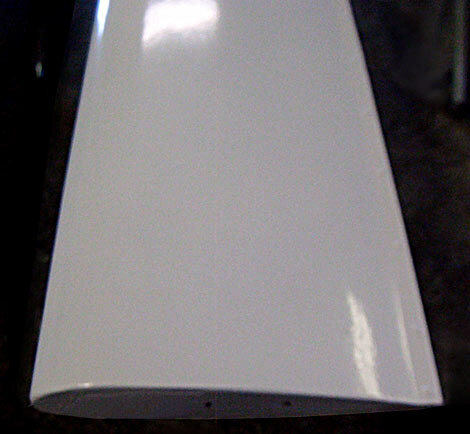 These hi-lift airfoils have a 23012 profile. Alternatively, carbon fiber can be substitued for the S2 glass—see pricing below. PRICE: $5,385 set with S2 glass, $5,890 set with carbon fiber. Add a crating cost of $145 per set. • Add $395 for the mounting plates.